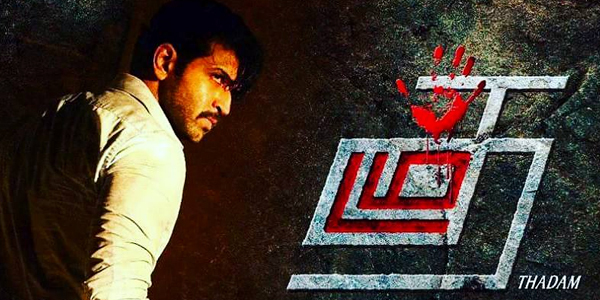 Thadam Synopsis: The murder of a youngster creates confusion among a few cops when they find out that the one accused in the crime has a look-alike! Thadam Review: Magizh Thirumeni’s Thadam is a whodunit thriller with ample engaging moments, thanks to its gripping screenplay. Kavin (Arun Vijay) is a petty thief who indulges in various financial dealings with the help of his aide Suruli (Yogi Babu). A selfish person, he doesn’t value Ananthi’s (Smruthi Venkat) true love for him. Meanwhile, Ezhil (Arun Vijay in another role), who is into construction business, dreams of settling down with Deepika (Tanya Hope). One of them murders a youngster, which becomes a sensational case. The police, under the guidance of Gopalakrishnan (FEFSI Vijayan), nabs Ezhil first based on his image, which is found on the deceased person’s phone. The police officer, who had been waiting for a chance to take revenge on Ezhil for a personal reason, plots to get him maximum punishment. However, he gets the shock of his life when other cops takes Kavin also to the custody. Gopalakrishnan asks his junior Malarvizhi (Vidya Pradeep) to take up the case. With hardly any evidence, thanks to the perfectly executed crime, Malar struggles to find who, between Ezhil and Kavin, is the real culprit. The case reaches a stage when she has to give up the case due to lack of evidence. Thadam has an intriguingly written flow of events that begin from the pre-interval point and the film maintains the suspense factor till the end. The movie, however, would have been better with a little more care given to the writing. It takes a long time to get to the plot, which makes the beginning a bit slow. The film also has some spoon-feeding moments as the director wants the audience to differentiate between Ezhil and Kavin even in scenes where they do not appear together. Arun Vijay steals the show with dual roles which are poles apart in mannerisms and body language. Vidya Pradeep as the smart cop, too, stands out. Yogi Babu and Vijayan fit in their roles flawlessly.